There's no shortage of green holiday initiatives sprouting up in Toronto in December. Environmental enthusiasts are finding ways to make the holidays more sustainable while keeping the fun traditions alive. Good Card Co. aims to produce greeting cards in a way that is sustainable. Most people don`t think twice about buying bulk cards over the holidays, but a couple of Torontonians are trying to change that. 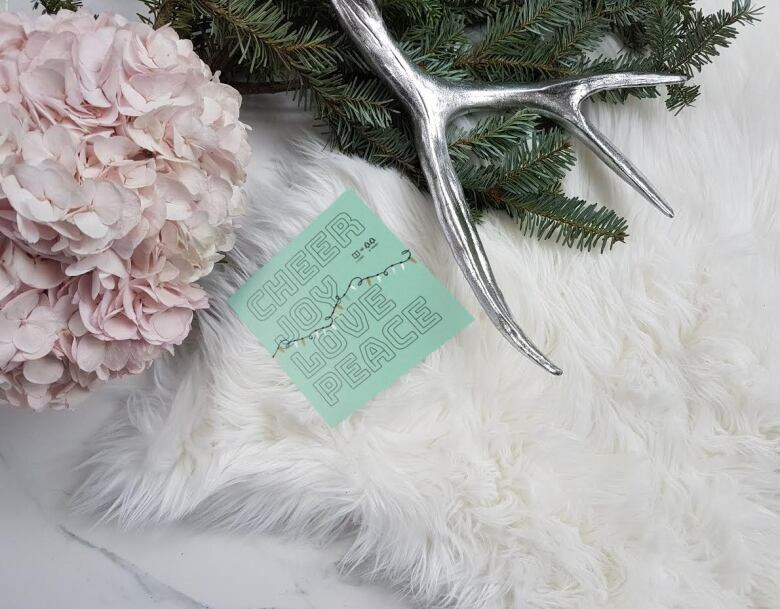 Stephen Szucs is the co-founder along with Alexandra Pokras of Good Card Co. – a new greeting card company started through an IndieGoGo campaign that he says aims to offer consumers the chance to send a card with a clear conscience. "I think that there's a growing awareness that sustainability is a need," Szucs said, noting the amount of waste that's produced over the holidays. "Whether it's cards, whether it's flowers, whether it's a t-shirt, we're disconnected in the supply chain so people don't consider the planet when making any decision, because it's so complex," Szucs said. As a passionate environmentalist and founder of Sustainable Joes, Szucs was on the hunt for an industry that he could enter at a relatively cost effective price point, but still have an impact. He believes he can do that with greeting cards. Szucs hopes people are enticed by how the cards are made. 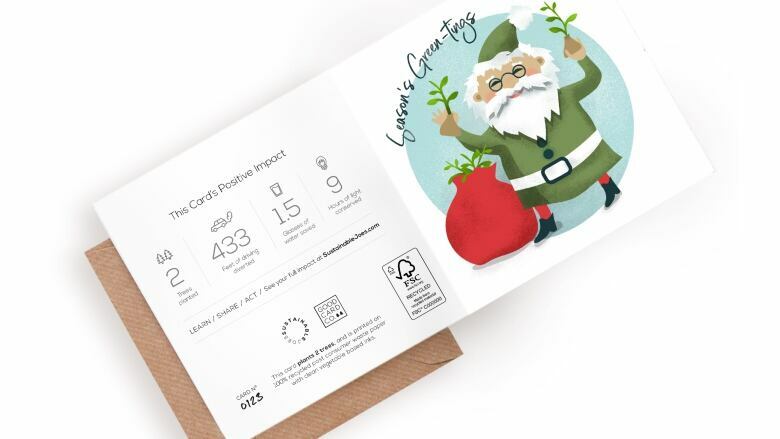 "The cards are printed on 100 per cent post-consumer waste paper with clean vegetable based inks," Szucs said, adding that two trees are planted for every card sold. The cards have a tracking number printed on the back so the materials can be traced back to the recycling centre where the fibres came from. The company has already made sales to three vendors in California. 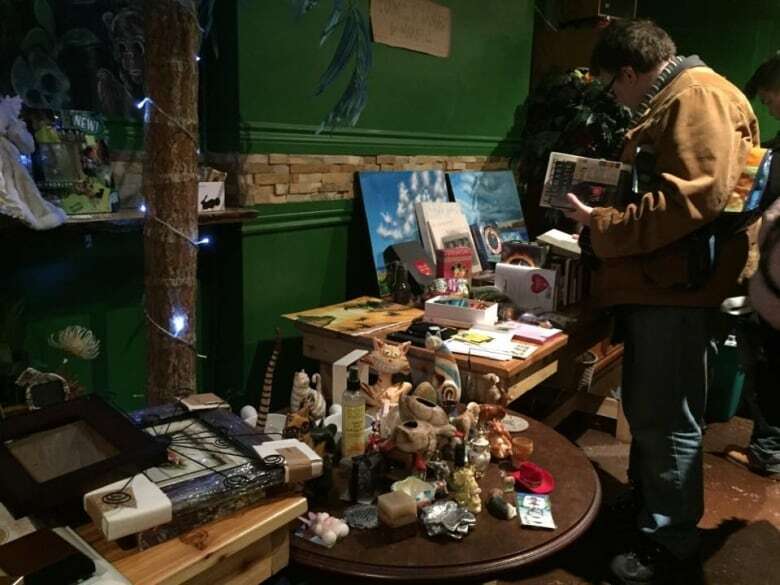 Toronto's Holiday Gift Swap has resulted in thousands of trades over the last five years. The idea is to bring new or lightly used items that are lying around at home and swap them for someone else's unused item. "What we do is challenge the consumerism that exists at this time of year," said Ryan Dyment, executive director at Toronto Tool Library. Dyment organizes the event and said the 2017 market will be the biggest one yet. "People love it. People pick up all their gifts at once. It's pretty much a mall, there are a wide variety of things," Dyment said. The free market is equipped with a zero waste wrapping station and craft tables. If you bring a beer bottle you can turn it into a glass. Dyment said he didn't want to take giving gifts out of the holidays, but rather lessen the amount of unnecessary purchases and waste. "This way you don't have to fight tradition," he said. 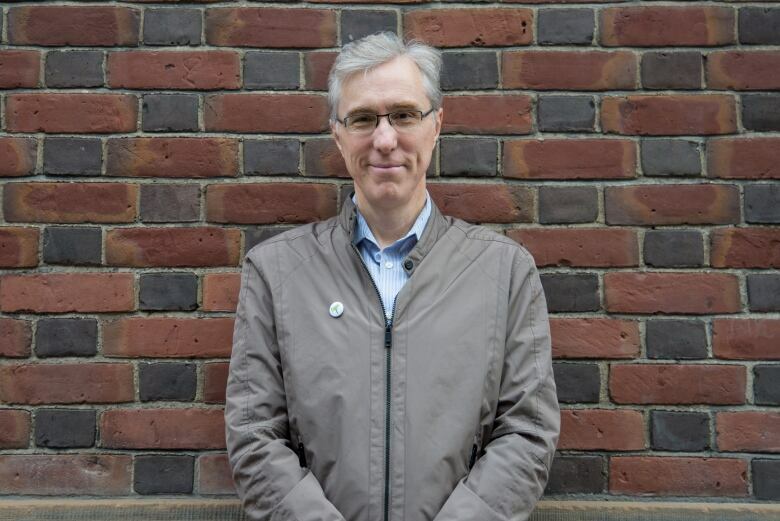 The market is on Dec. 16 from 10 a.m. to 3 p.m. at The Centre for Social Innovation, 720 Bathurst St.
Franz Hartmann, executive director at the Toronto Environmental Alliance, says there are ways you can wrap a gift without buying a bunch of paper and tissue. "You can reduce the gift wrapping by turning the wrapping into part of the gift. That's a nice simple way of doing it," Hartmann said. Reusable bags that can later hold groceries is one way of wrapping a gift. Hartmann also suggests giving experiences instead of physical things. "People love to go for dinner, see a movie," Hartmann said. "You can give someone a really great experience and that's something they'll remember." As the holidays draw near and overcrowded stores result in impulse decisions, Hartmann says it's important to take a moment to really consider what people need. "Take a deep breath. The holidays aren't about how much stuff you get," Hartmann said. If you're not sure where your garbage belongs, Hartmann recommends visiting the City of Toronto's Waste Wizard — an online tool that tells you in which bin to throw your waste.